Did you know that when you buy a game on Steam, you have the option of sending it as a gift to people on your friends’ list? Steam has a great approach to tracking your gifts in case they didn’t get sent correctly. Under “Manage gifts and guest passes” is a tab labeled Pending Gifts so you know it’s on the way to your PC. It’s really easy, all you have to do is select a game, add it to your cart, choose to “purchase as a gift”, and later, decide if you want to send your gift via email or to their Steam account. Steam also lets you write a friendly message to show you care, possibly toss in some classic trolling for shits and giggles. You can rest assured that your gift delivered successfully once you receive a message from Steam client. The game will then move from Sent Gifts to your Gift History where past games are dated. 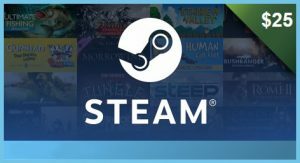 You can also give games on Steam as gifts to non-Steam users in which an email is preferable seeing that it has information on how to set up a Steam account to receive games. One other thing you can do is to store the game in your library upon purchase to save for later when the occasion calls for it, like during Christmas or whenever you feel like doing a video game marathon. On occasion, your Steam buddies may feel generous and send gifts your way. Once it happens, you’ll receive an email link that lets you redeem the game. 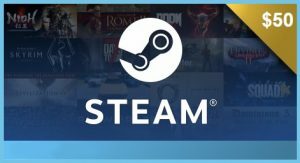 Steam now has digital gift cards where you can directly contribute to a friend or family member’s Steam Wallet. You could either accept your gift/add it to your library or decline it which sends the game back to the giver. (But why would you?) Unless the gift is a duplicate game in which you won’t be able to add the same title to your library twice. If I were you, I wouldn’t have any complaints about receiving free games to try. Though if you are still confused and full of questions about gifting, then you should read Steam’s FAQ page which is far more in-depth about it than I am. 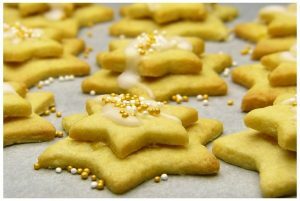 They cover info on whether it is possible to send gifts to friends living in a foreign region. Steam Gift Cards have only been around since May of 2016. You’d expect Steam to release gift cards much sooner due to the popularity of Steam’s indie games and selection of big-hit titles. 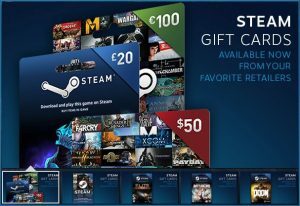 Gift cards on Steam, like their counterpart Steam wallet codes, are sold in many retail stores across North America. There’s bound to be a few lying around on Amazon and GameStop. Best of all, these gift cards provide you with access to amazing deals, cloud saves, automatic updates, and your choice of any PC game available on Steam’s market! The alternative is a digital wallet code which functions similarly as it can be redeemed on Steam but by depositing funds (money) into your account. Gift Cards on Steam come in several types. The standard ones are the $20, $50, and $100 gift cards. The less common ones include the $5 and $10 gift cards which I saw on Steam Card Delivery. You might find a few that are €10, €15 or €25 for those of you who live in the UK. But they sure do sell like hotcakes! They also work on all PC, Mac, and Steam OS devices. Now one last thing I noticed is that Steam advertised gift cards exclusive to specific games including Elite Dangerous and Doom. But I haven’t seen them around so maybe it is just for showing off the games you can play rather than limiting you to one game per card. There are a bunch of $5 and $10 Steam gift cards that will let you redeem PC games which are good for outdated titles and featured mini-games. Steam actually filters their games under $5. But quality games at this value are few and far in between. You’d have no trouble finishing most of them in a few hours. It’s nice that many games have discounts of at least 60% off once they’ve been on the market. Browse Steam’s games under $10 to see what I mean. The $25 Steam Gift card is most suitable for gamers who want to shop on Steam but are aiming to get some indie games or are fixated on new title releases. It does stop you from going overboard though. Good for buying one game out of a popular franchise. The $50 Steam Gift card is best suited to big spenders. New game releases like Torment Tides of Numenera are always the most expensive. It really depends on if you prefer famous titles ported onto PC. This card will deposit substantial funds into your Steam account, once you redeem your code. The $100 Steam gift card gives you the ultimate video game shopping spree. This card deposits $100 into your Steam account so you can buy a boatload of games from any genre you want. You’ll have your library collection setup in no time. Did you ever buy gift cards to use on Steam? Why or why not? Next Next post: What is technically considered gameplay?